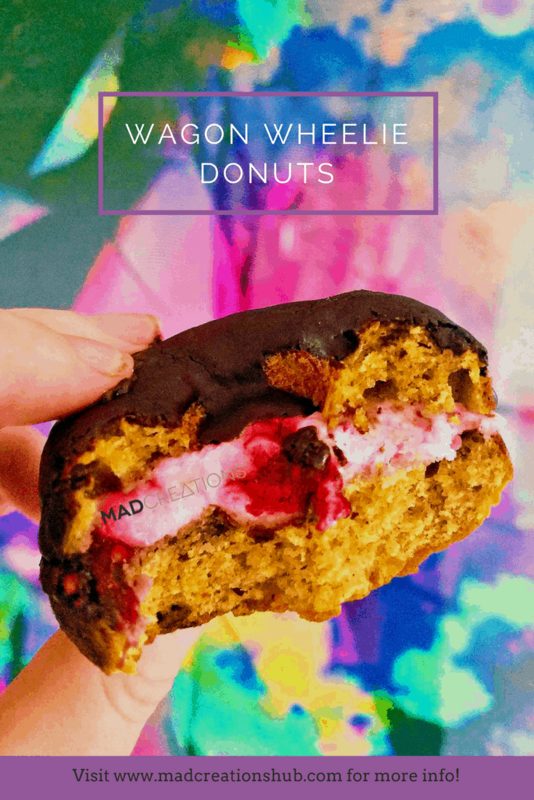 My Wagon Wheelie Keto Donuts will definitely put a smile on your face! This recipe is ridiculously easy for such a special result. If you are caring and “sharing” your friends and family will love you if you make these…keto or not. The donut itself is soft and moist and beautifully spiced, then to fill it quite simply with pre-made sugar free marshmallows and some fresh raspberries. Oh then there is the chocolate glaze. These donuts are so good I had to fight to get one to test myself. Lucky I am the only one that takes photos as Dave now knows I need at least one (or more) to photograph. I can’t believe everyone keeps buying the Noshu Donuts for $5 each when you can whip up these and many of my other donuts for way less money, and way, way less carbs. These Keto donuts are the best! 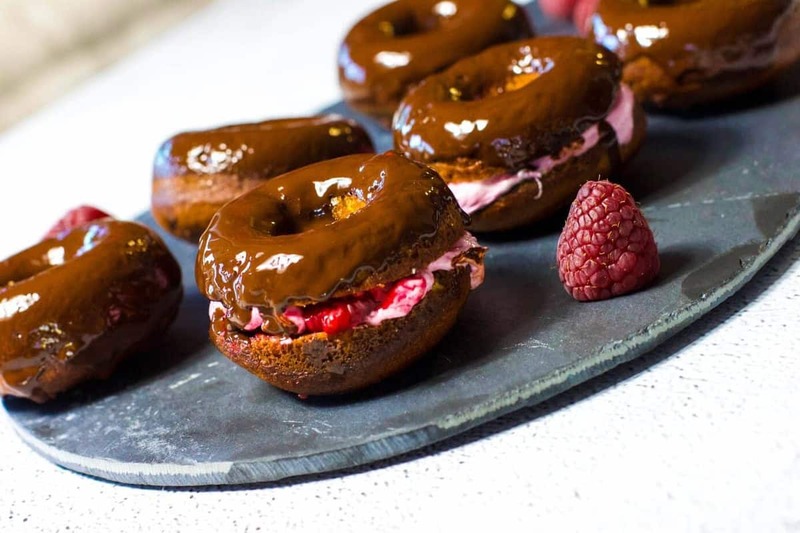 Soft moist donut filled with sugar-free marshmallow and fresh raspberries, topped with a chocolate glaze. So good! Add butter to the mixer and melt for 3 minutes / 80 ℃/ speed 1. Add the dry ingredients plus sour cream, eggs and vanilla and mix for 3 minutes / dough setting. Pipe into a greased donut pan, and fill to roughly ¾ full. Place in the oven and cook for 10 minutes, until lightly golden. Place on a wire rack to cool. Heat marshmallows in microwave for 1 minute, and spread on pre-halved donuts, top with 2 halved raspberries and other half of donut. Melt chocolate and coconut oil in microwave 1 minute on high, or until fully melted. Dip the donut tops in the chocolate and put aside to set. Add all ingredients to a mixer or bowl, and mix until well combined. 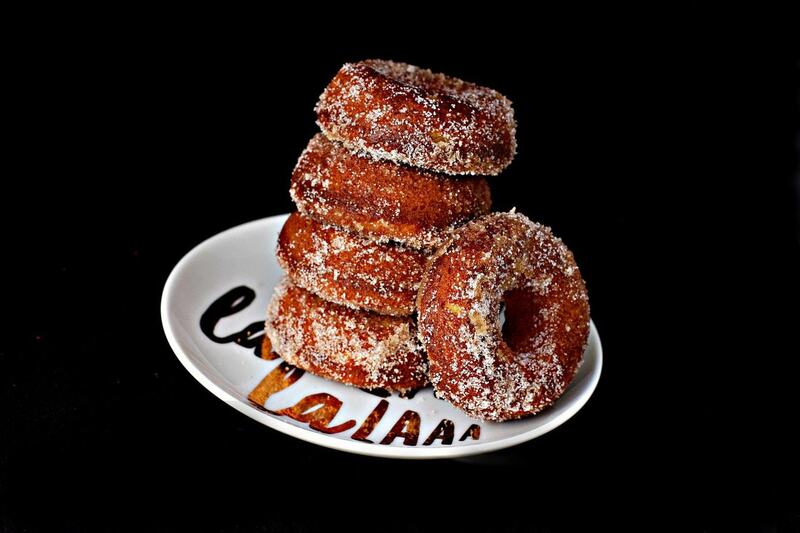 Follow the above steps to shape your donuts, cook and serve. One of the best keto donuts EVER! How do you get the marshmallow to spread. It just sticks to everything ? Blow torch is great, other than that slightly wet fingers and work really fast. CAN YOU SUB THE BUTTER FOR COCONUT OIL? Can I use coconut cream instead of sour cream? I’m imagining egg replacer will work. Dairy and egg issues here amongst others. You sure can. Just make sure it is the really thick cream out of the can. Can I use full fat plain yogurt in place of sour cream?